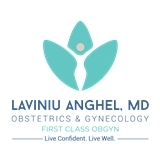 FIRST CLASS OBGYN PA (Miramar) - Book Appointment Online! Melissa was awesome!!! Friendly, professional and willing to help if you have any additonaln issues. Excellent. Very caring, very thorough. Highly recommend.